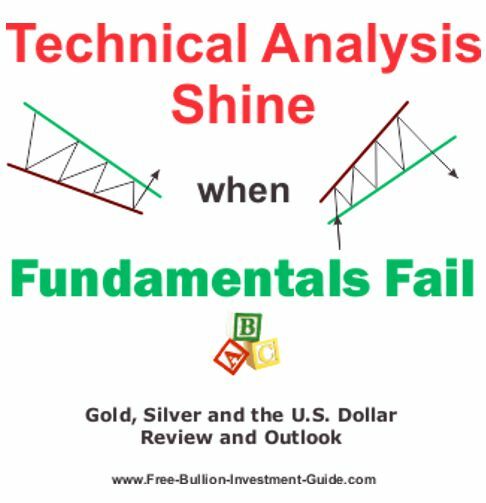 'Fundamentals trump Technical Analysis;' those who follow this blog have read these words from me more than once, it's also the title of a previous blog post seen here. The Fundamentals that have failed may only be temporary, but the two fundamental factors below have failed to move the markets as many market participants had expected. North Korea Tensions at ease; although the United States currently has 3 carrier battle groups sitting within striking distance of North Korea, tensions do not seem to be rattling the markets (but this can change at any moment). To clarify, for most of this year fundamentals have trumped technical analysis, but over the last month, my technical analysis has shown that the U.S. Dollar was trading in a Negative Pattern and Gold and Silver was trading in Positive patterns. Due to fundamental factors, this was the opposite of what many in the market were expecting from the three market assets. But, the fundamentals have failed and let technical analysis confirm the patterns in the charts below. In the future, I don't doubt that fundamentals shine again, and the new technical outlook patterns, in the charts below, will break one way or another in the days and weeks to come. Two weeks ago, I wrote the following about the U.S. Dollar and posted the chart below. As for the week to come, if the U.S. Dollar continues to rise, it will start to hit resistance at the $95.50 level. Therefore, although I have little doubt that the U.S. Dollar will continue to trade inside the 'Rising Expanding Wedge' some pullback may happen this week. 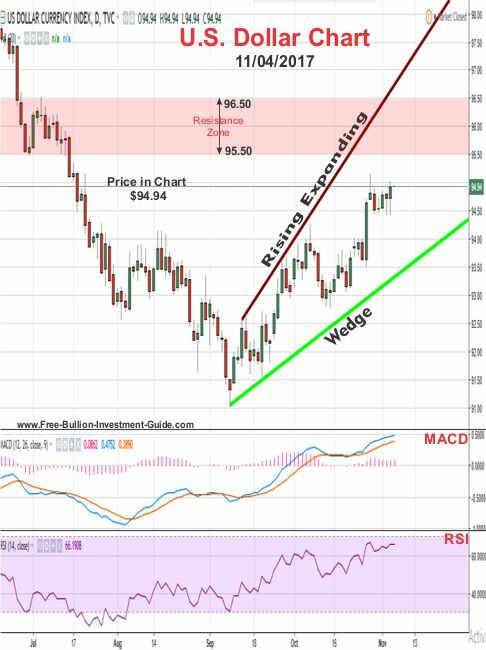 In addition, the Dollar's MACD and RSI are starting to move a little higher in the overbought territory, so if the dollar hits the $95.50 level this week, the dollar will consolidate at this level, and we may see a pullback. The week before last, the dollar moved up a little, and it traded a little over the 95.00 level, but it could not close a trading day above it. In addition, for most of the last week, the dollar fell in price and on Friday, November 17th, it confirmed the expected negative outcome of the Rising Expanding Wedge. 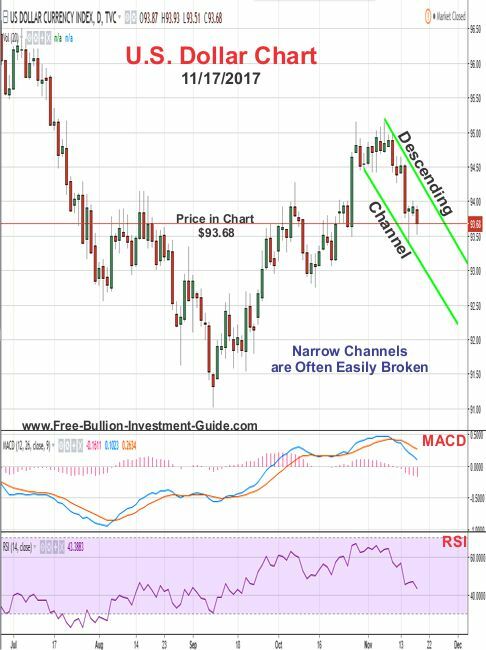 A new pattern has been recognized in the Dollar's price chart, a Descending Channel. The descending channel that the dollar is trading in is very narrow and will undoubtedly be broken sometime in the near future. However, in the week to come, the Dollar's MACD (lower indicator) looks like it is signaling a fall in the dollar's price. 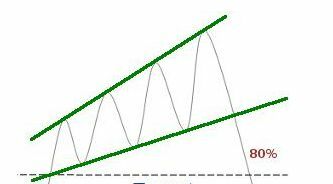 But, one way to read the MACD is that the greater the separation between the MACD's signal lines the greater a price change is in the future. So we may see the channel broken to the upside this week, however, the dollar's RSI is moving in a neutral zone, so the price may just bounce around inside the descending channel this week. Time will tell. Below is silver's commentary and chart outlook from 2 weeks ago. For the week ahead, silver continues to show very little as to which way it's going to move. Although it did come close to breaking the upper falling trend-line of the wedge last week, the price did not close the day out above it. 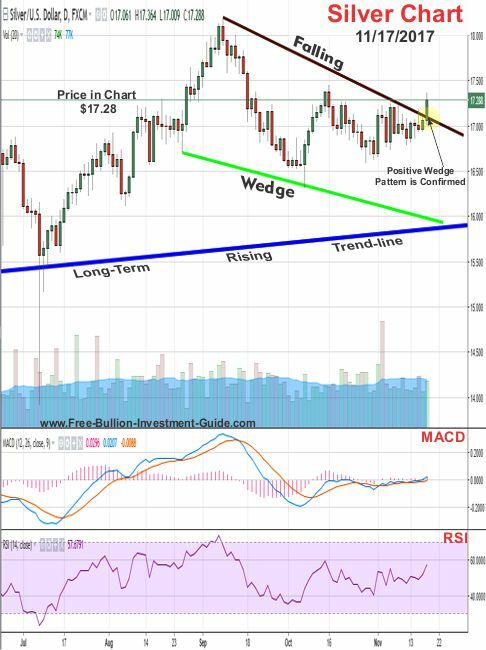 In addition, Silver's MACD and RSI are both giving little indication as to which way the price may move, so we may continue to see the price move sideways, and perhaps that sideways movement may ultimately break the wedge. Time will tell. Two weeks ago, the price of silver moved sideways, but it didn't break the upper falling trend-line of the wedge until late last week. 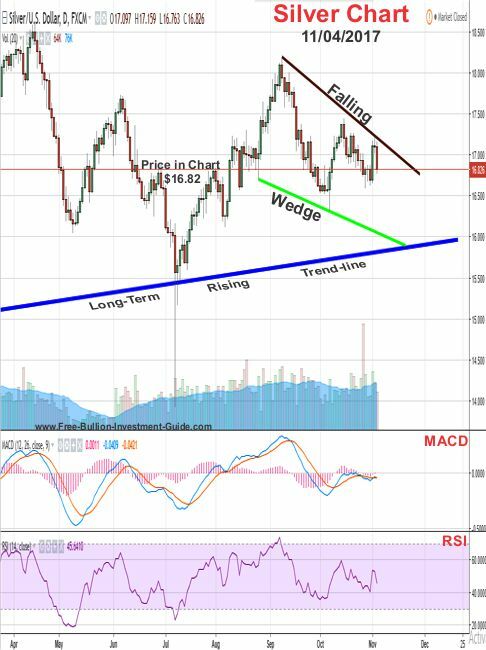 But when silver did finally break the trend-line, it confirmed the expected positive outcome of the Falling Wedge. 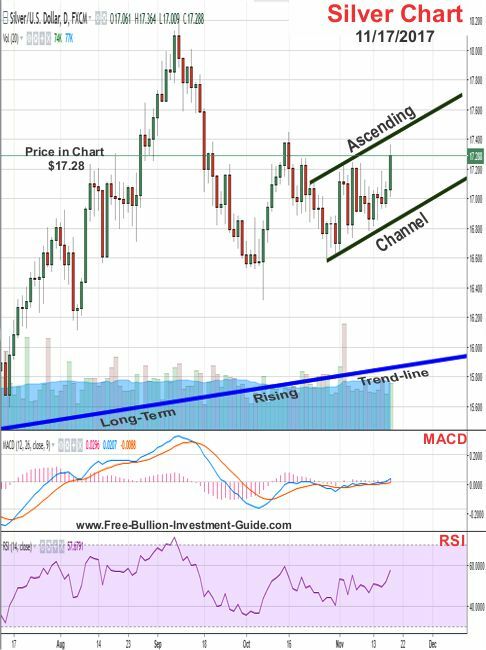 In silver's outlook chart below, like the dollar, it has formed a channel, but in silver's case, it has formed an Ascending Channel. Silver's channel is a bit broader than the dollar's channel, but it is still narrow. Typically, a broader channel offers more insight into what you can expect in an assets future price. 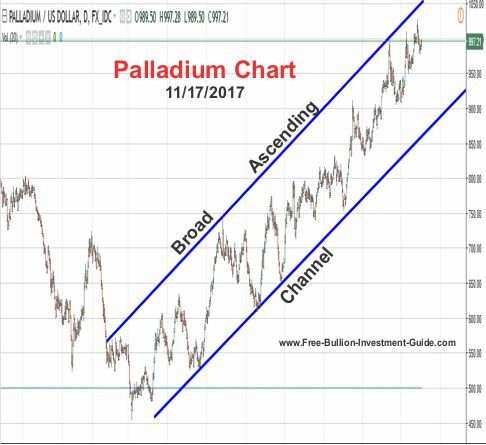 For instance, Palladium (right) has been trading inside a broad ascending channel since December of 2015. 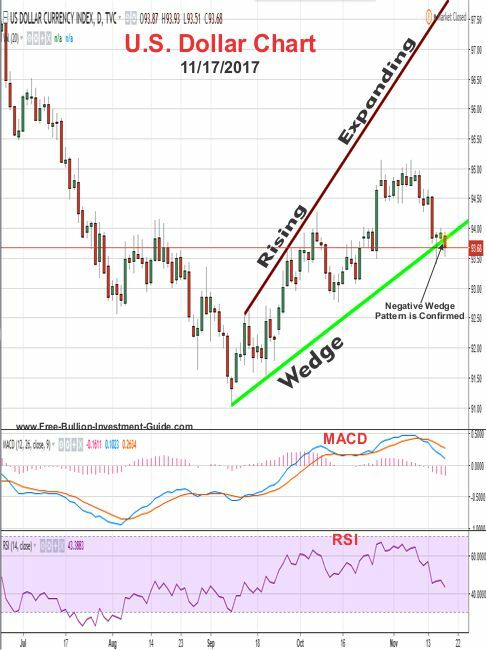 As for the week to come, silver's MACD and RSI (lower indicators) are offering very little insight into which direction silver will move, so silver is expected to simply trade inside the channel this week. Or silver may break the channel if fundamentals move the precious metals, narrow channels are very hard to judge and the current events in the news seem to be in limbo, so we'll just have to wait on time to see which way it will move. Below is the gold outlook from two weeks ago. As for the week ahead, gold's MACD and RSI are looking a little more positive than silver's lower indicators. To clarify, they don't look positive because they are in positive territory, nor do they look like they are indicating a positive change in price. They look positive because unlike silver, they've been moving in oversold territory for more than a week and sometimes when price indicators move in the oversold territory for so long, a change in price usually isn't far behind. 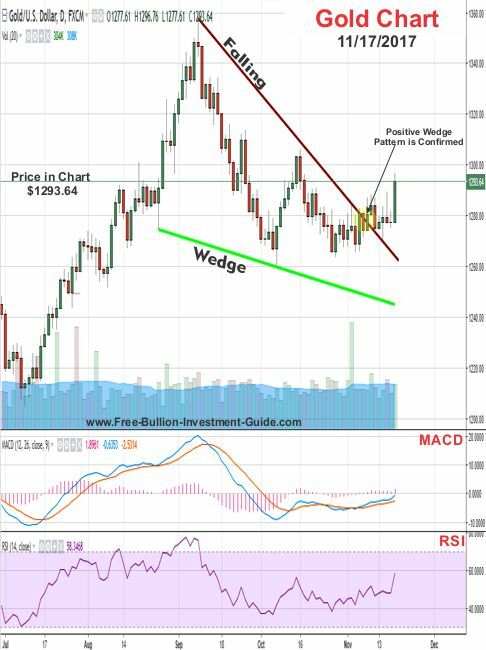 So like silver, we may see the price of gold move sideways this week or perhaps it could move up in price, either way, it looks like the upper falling trend-line of the wedge will be tested this week. In the review chart below, you can see that gold's price did move sideways with an upwards slant. In addition, gold's MACD and RSI didn't fall anymore and moved up, although slightly. 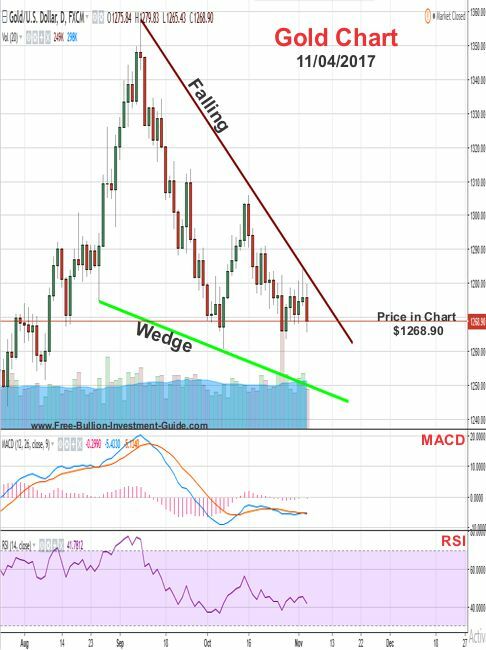 Gold also broke the Falling Wedge over a week ago. confirming the positive pattern. 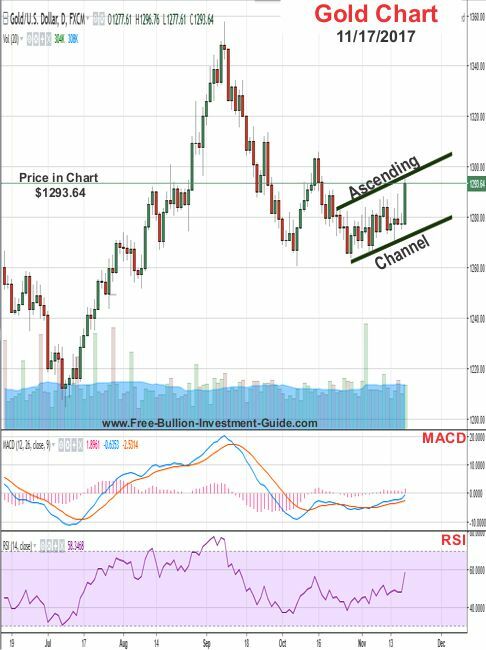 For the week to come, like silver, an ascending channel was also found in gold's chart. Gold's channel is narrower than the one found on silver's chart, so its a little more fragile and is expected to break in one direction or the other sometime in the near future. But as for now, there is no overwhelming signal as to which direction the price of gold will move, so time will tell what it does. Last weekend, Malcolm Young died, he was a guitarist and one of the founding members of AC/DC. When I was growing up, AC/DC's music was too hard for my parent's taste, so I didn't hear their music in my house. However, a good friend of mine who lived across the street from me loved AC/DC, so I actually heard them all the time. I'll never forget an early interview of the band that solidified my love for their music. "We don't play ballads, we play Rock n' Roll, Hard and Loud." In the 80's, at least one ballad from a heavy metal band was the norm. Rest in Peace Malcolm Young and God Bless You.